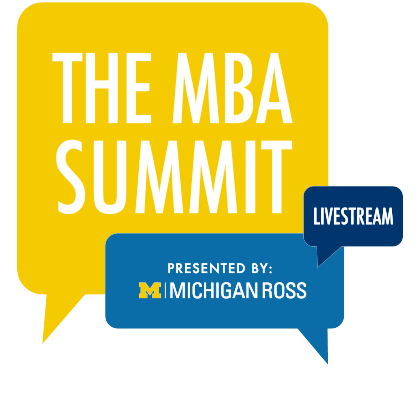 The PhD curriculum at Michigan Ross prepares tomorrow’s leaders for the top business schools in the world. 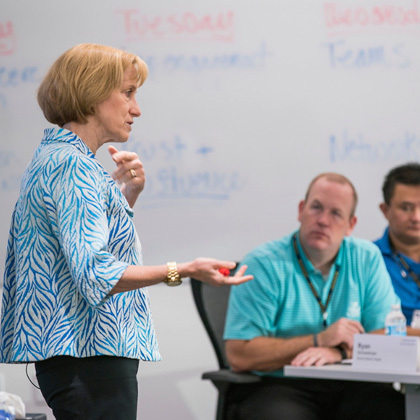 Our mentorship philosophy allows you to work with some of the world’s best business academics at a top research university. Classes and seminars increase your intellectual breadth. The first two years of the program usually are devoted to courses that satisfy University, school, and area requirements. Cognate courses: Two graduate-level courses in University departments or colleges outside Michigan Ross. This requirement is designed to increase students’ intellectual breadth. Students commonly elect cognate courses in economics, psychology, sociology, statistics, or engineering. General background courses: Basic knowledge in accounting, finance, marketing, and organizational behavior. Students entering with an MBA usually will have satisfied this requirement. Others fulfill it through full-time MBA courses. Analytical tools courses: Mastery of statistical inference. 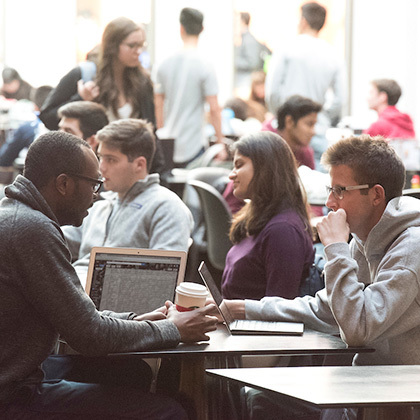 Typically, students take a one-year, graduate-level sequence in statistical methods and probability through the University’s statistics or economics departments. Individual areas determine the appropriate sequence and additional courses to prepare students for research in their fields. Doctoral seminars: These sequences acquaint students with research literature and current themes and controversies in the field. Area seminars are supplemented by schoolwide doctoral seminars in research methods and research on decision-making under uncertainty. Become a top researcher with our mentorship approach. Although coursework is important, the main goal of the doctoral program is to impart independent research skills. We achieve this under a mentorship model. 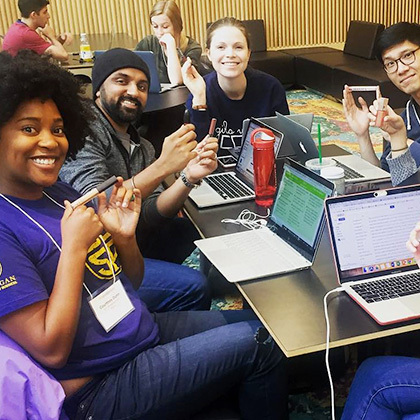 Students work with faculty formally and informally as research assistants, beginning in the first semester. Students must satisfy research requirements specified for their area. Because graduates of our program typically pursue academic careers, and teaching at a top-notch school such as Michigan is demanding, we require our PhD students to teach an undergraduate course in their specialty for one semester, often during the third year. Students are paid as teaching assistants for the courses they teach. 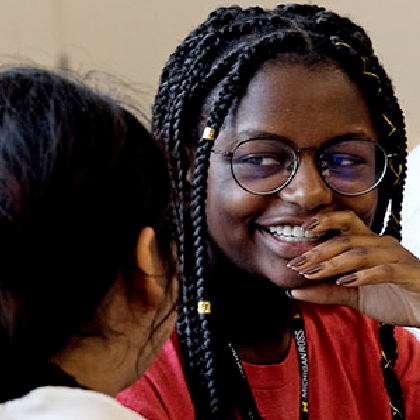 The diverse techniques our faculty employ — from the case method to action-based learning and interactive video — provide a solid base for exploration. Prepare for your candidacy be demonstrating mastery of your subject area. Preliminary examinations are a prerequisite for candidacy. They are designed and administered by each area to evaluate a student’s mastery of basic knowledge. Discover the steps needed to achieve candidacy. Candidacy must be achieved prior to the beginning of your fourth year (no later than September 1). If this is not possible, you would need to appeal your circumstances to the Doctoral Studies Office. Extenuating circumstances will be handled on a case-by-case basis. Failure to comply with this requirement can affect further funding. Newly enrolled students are classified as precandidates until they have completed the requirements listed above. They must also satisfy any additional requirements specified by their respective departments. At that time, they become candidates for the Ph.D. degree. Completed Coursework — The applicant must have completed most of his or her coursework, including cognates. A student must satisfactorily complete two graduate-level courses for a minimum of two hours of credit each in a department or departments other than his or her own department of specialization (i.e. departments outside of the Ross School of Business). The cognate requirement may be met by courses taken previously as a graduate student. Cognate courses must be approved by the student's advisor. Preliminary Examinations — The applicant must have passed any preliminary examinations required by the area of concentration. Students must be enrolled during the term in which they passed their prelims unless they qualify for 9 or 12 month campus privileges. Students who enroll during the Fall and Winter terms have 9 month privileges (September through May); students who enroll during Fall, Winter and in one of the half-terms (Spring or Summer) have 12 month privileges (September through August). Credits — Applicants must have successfully completed 36 Rackham Fee Totals. Residency — The applicant must have met the residency requirement which is defined as completion of at least 18 graduate credit hours on the Ann Arbor campus. Courses elected for "visitor" status and 990 elections will not be used to fill the residence requirement. Incompletes — In addition, doctoral students in Business Administration are required to remove any "Incompletes" from their transcript before they can be advanced to candidacy. They also must complete the equivalent of at least one full-time term in research/teaching activities directly related to their professional objectives. In most cases, this requirement will be met by completing an approved combination of teaching at the college level, research independent of the dissertation, or a practicum of professional experience. Core Requirements — Doctoral students in Business Administration must also complete all core requirements prior to advancement. An academic audit will be conducted prior to advancement. Learn the steps in crafting and defending your dissertation. Students should create a dissertation committee that conforms with the policies of both Rackham and the Ross School of Business prior to their proposal defense. The oral defense serves as an oral examination of the candidate's written proposal. In general, this examination is conceived to be comprehensive and designed to explore the candidate's ability to conduct a research project. Where the oral examining committee has valid reasons for questioning the candidate's understanding of either the theory or the research methodology necessary to conduct the proposed research, the members will probe for more information. Depending on the outcome, the committee may suggest revisions to the proposal. What to expect for your final dissertation defense. The Michigan Ross PhD Faculty in Training Program prepares you for the tenure-track positions at the world’s top universities. Have questions? We have answers. Check out our FAQs for more information.